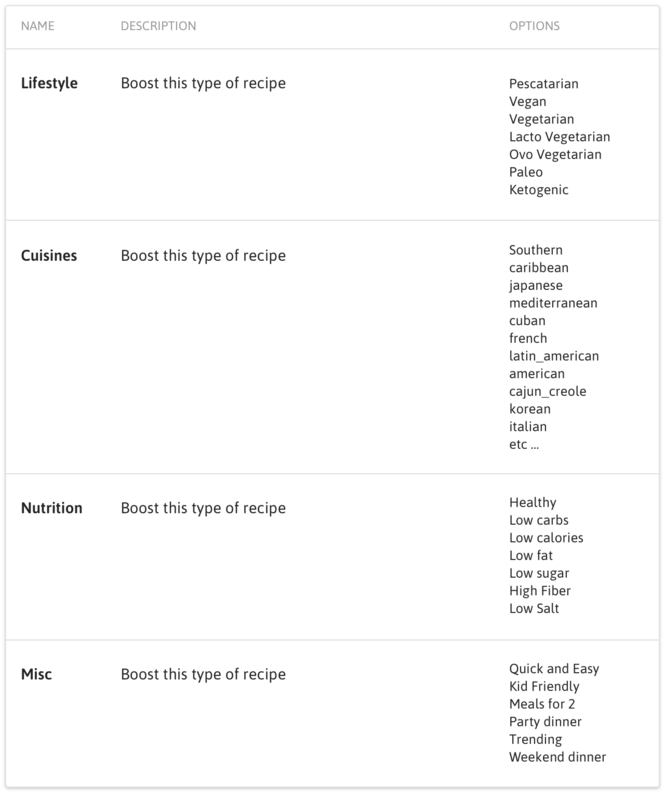 Whisk can make food experiences more personal, enjoyable, and intuitive by learning about a user’s food preferences — everything from diets and allergies, favourite cuisines, preferred store brands, nutrition goals, and more. 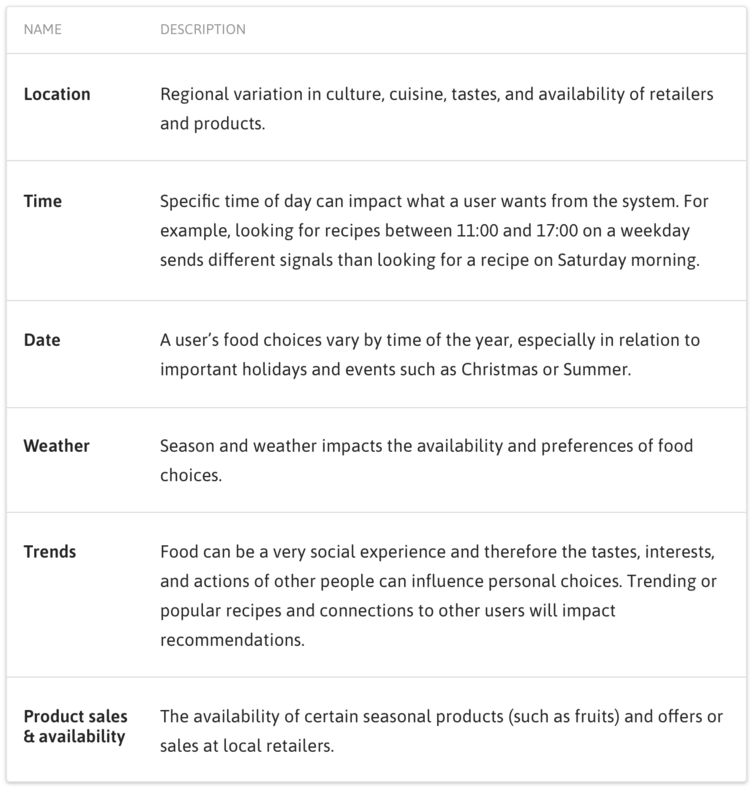 Whisk’s personalisation system builds a deep understanding of a user (their preferences, behaviour, and context) by collecting a wide range of data from both explicit and implicit behaviour. 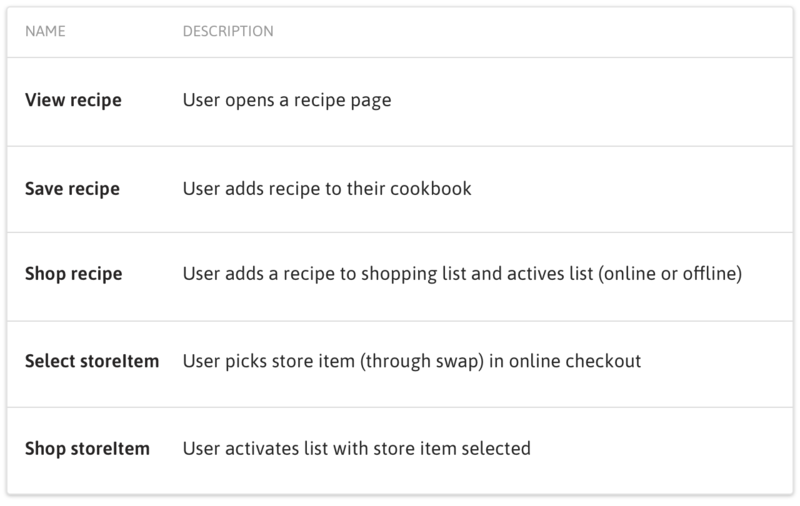 Whisk can provide more relevant content (such as recipe recommendations) and make it quicker and easier to use by intuitively acting based on user preferences (such as which store items they want based on brand or budget). 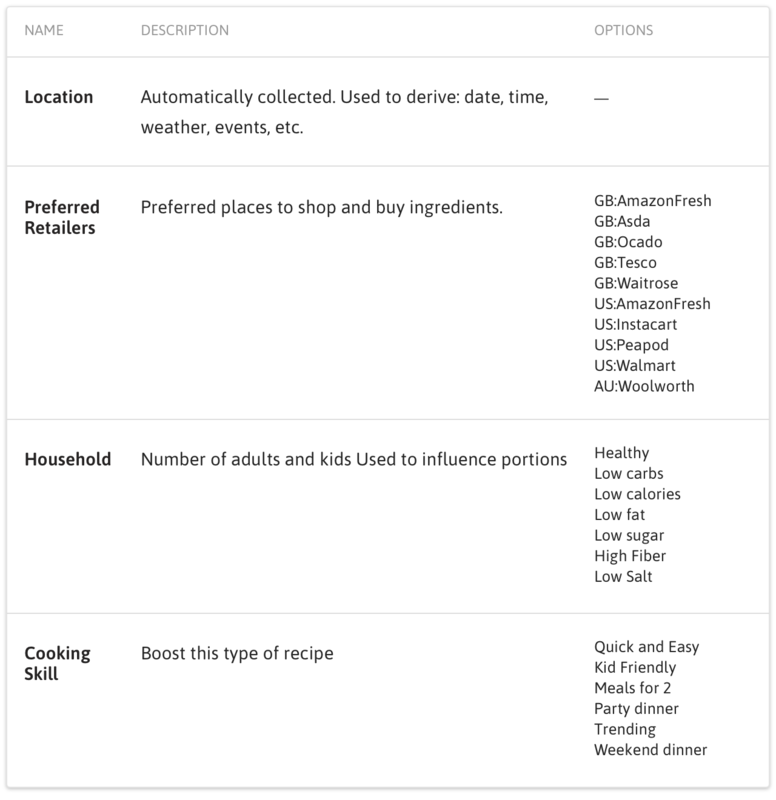 Whisk uses a combination of data in three categories of hard constraints and soft influence: preferences, context, and user behaviour. 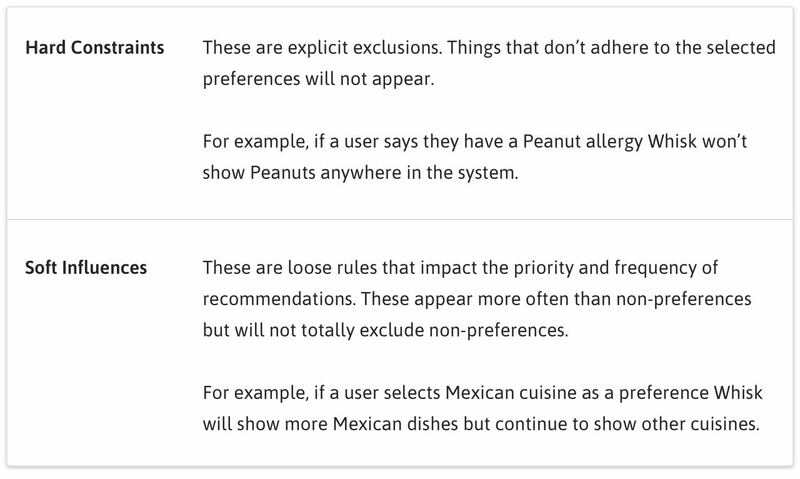 Contexts are external factors and circumstances surrounding a user’s interactions with the system. 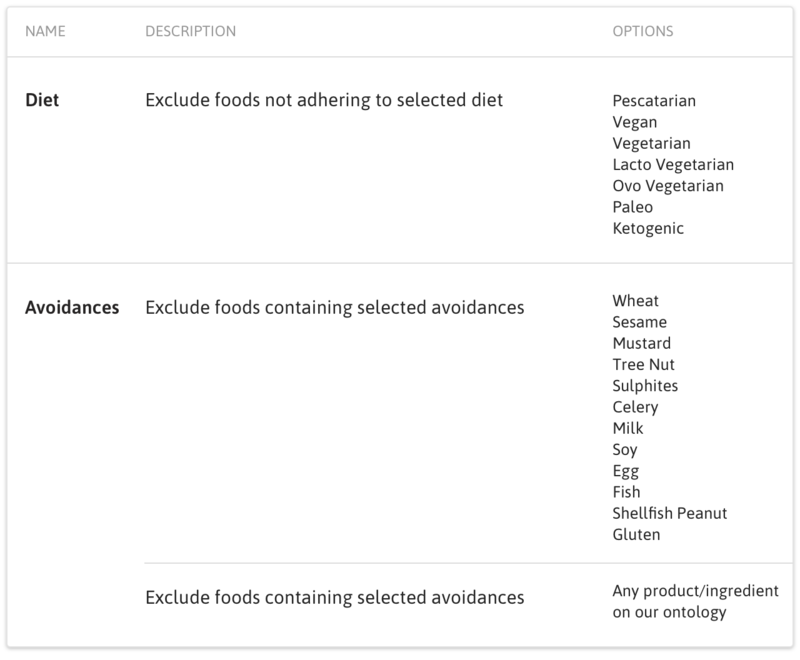 These all affect personalisations and recommendations throughout the system. 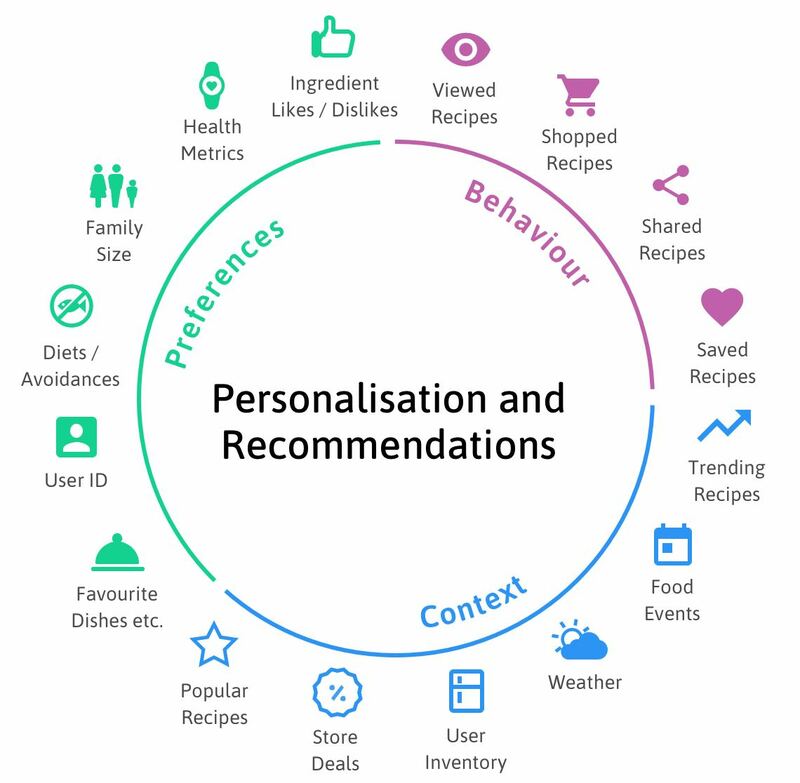 You can read more about how best practices in integrating personalisation into your app in our separate article here.